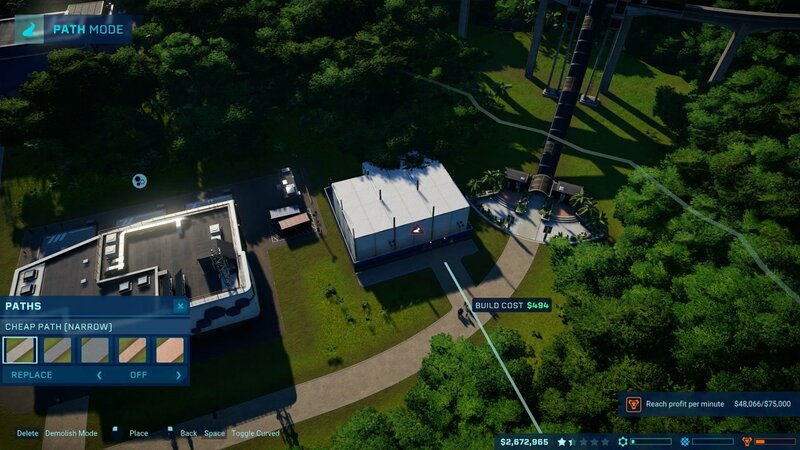 Buildings you create in Jurassic World Evolution unless they meet some of the requirements. One of these requirements is that it’s connected to the main paths, so that staff workers and visitors can access them. There are a few different types of paths available, with the prices varying between them. You can choose to have straight paths, curved paths, narrow paths, wide paths and even fancy paths! You should be instructed on how to build paths during the initial tutorial. However if you’ve forgotten, we have put together this little guide for you down below! 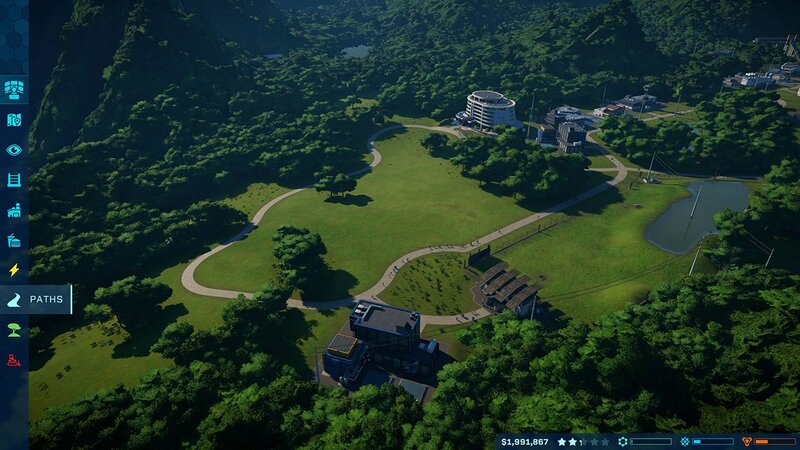 If you’re interested in some more Jurassic World Evolution guides and content, check our section here. To start, choose the Paths option on the left hand side of the screen. It looks like the image below. It shouldn’t be any different whether you are on PC or Console. As I mentioned before, there are quite a few different options available when it comes to building path. First, the 3 types are Cheap Path, Normal Path and Fancy Path. You can choose if you want these to be narrow or wide. Meanwhile, there is a replace option, which simply lets you overwrite existing paths to upgrade them. If you’re working with a building like the image above, you need to connect the front entrance to the main path so that it is accessible by everyone. If you want to demolish your paths, you can go ahead and use the demolish tool found in the menu on the left.